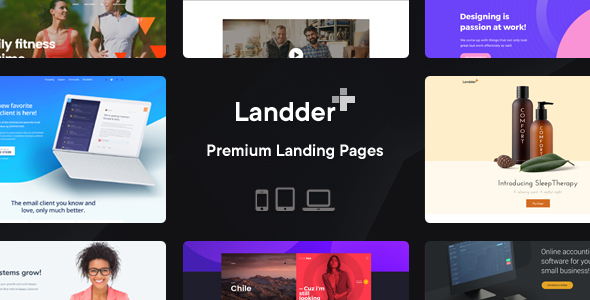 Landder+ provides you an unlimited collection of premium quality landing pages which are super easy to customize and use. These landing pages were designed with proper industry and market research and have been created using latest design trends. All the layers in the PSD files are properly grouped and named which makes it very easy to customize and use the design files. You can see the example screenshot in the documentation file after your purchase the design. The main downloadable file after purchase is a .ZIP file containing all the PSDs of pages you see in the screenshots without images as the images used in the previews are only used for the purpose of presentation.